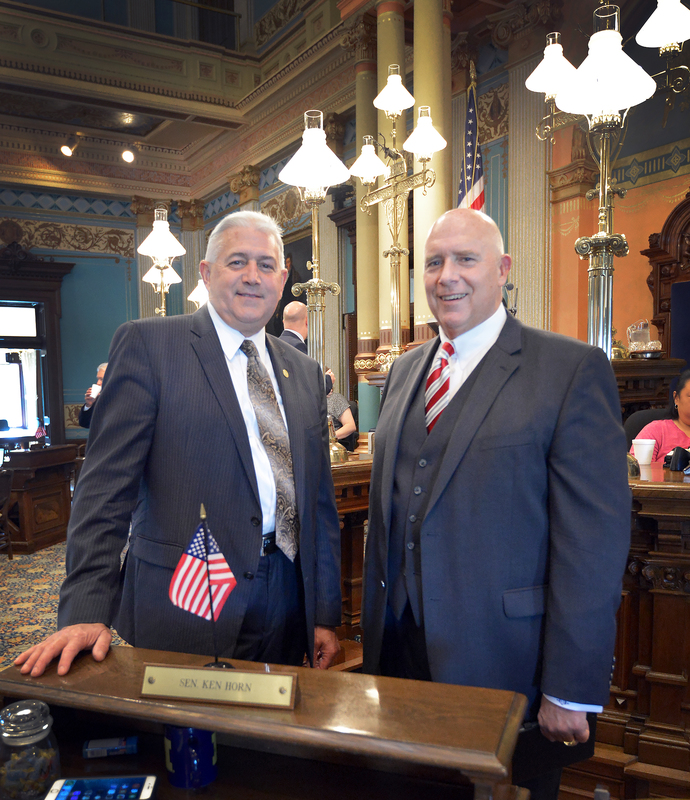 LANSING, Mich. — State Sen. Ken Horn, R-Frankenmuth, welcomed Pastor R.B. Ouellette (right) to the state Capitol on Wednesday. Ouellette serves as the senior pastor at First Baptist Church in Bridgeport and delivered the invocation before Senate session. Editor’s Note: A print-quality photograph of Horn welcoming Wednesday’s guest is available by clicking on the image or by visiting the senator’s website at www.SenatorKenHorn.com. Click on “Photowire” under the Media Center tab.